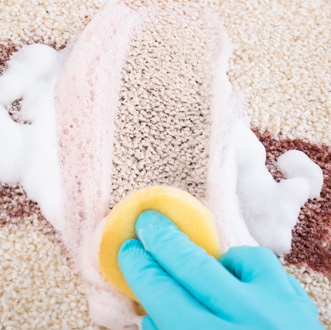 All carpets need to be fitted correctly as the quality of the workmanship will be a big factor to ensure your carpets look good and retains it appearance for longer. Fitting should be left to a fully qualified fitter as there really is no such thing as free fitting. The condition of the sub floor prior to fitting is your responsibility. The removal or shortening where necessary of doors. Cleaning the room of furniture. Advice from experienced, caring staff. ACG members pride themselves with the expert knowledge of all aspects of the carpet and flooring industry. Our members have a huge amount of experience from understanding all carpet types and advising you on the most suitable carpets for your needs. It is also extremely important that all carpets are installed correctly with the right underlay and accessories. Please call into one of our member’s stores and you will get all of this expertise which has been developed over many years. All ACG members pride themselves on the quality of their professional fitting service. 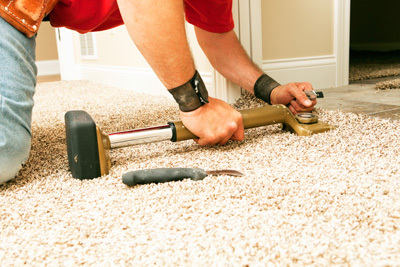 Fitters have been trained to a high standard to ensure maximum performance from your carpet. Customer satisfaction is paramount. 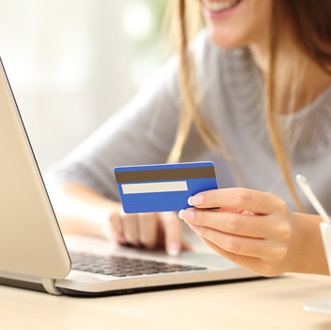 Recommendation from previous work is the most important factor for ACG members and why customers continue to support local Independent retailers. The benefits of having a carpet fitted correctly is so important as the life of your carpet depends on it. A badly fitted carpet will wear twice as quickly and cost you more in the long run. We strongly advise that carpets are fitted by skilled craftsmen and a professionals you can trust. All ACG members employ professional and quality carpet fitters! 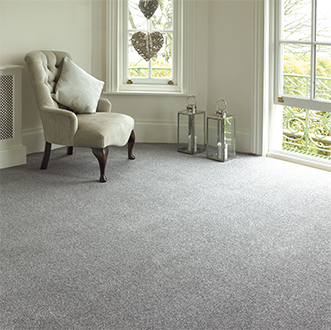 A new carpet deserves a quality new underlay to ensure optimum performance. A quality underlay will improve the life of your carpet up to 50% and ultimately save you money. Underlay makes carpet feel better. Underlay provides cushioning and makes carpet more comfortable. Underlay makes carpet look better. Underlay protects the carpet and improves appearance retention. Looking newer for longer. Underlay makes carpet lasts longer. Underlay acts as a shock absorber enabling the carpet to last significantly longer. Underlay insulates your home providing an extra barrier helping to keep heat in. Underlay can help  reduce energy costs by up to 15%. A floor with a carpet is 250% quieter than a floor without. Underlay makes the carpet easier to clean. 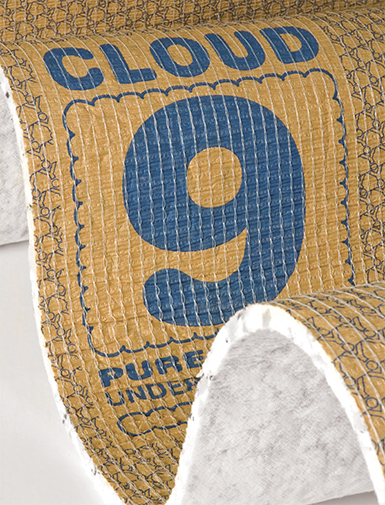 Underlay protects the carpet pile, making it easier to clean and more hygienic. 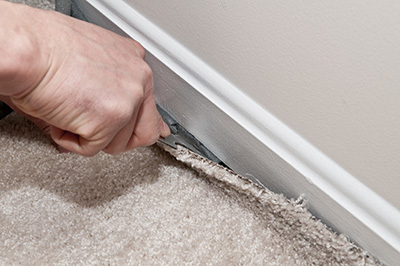 Underlay acts as a barrier to embedded dirt  so reducing the grinding action when carpet is vacuumed. 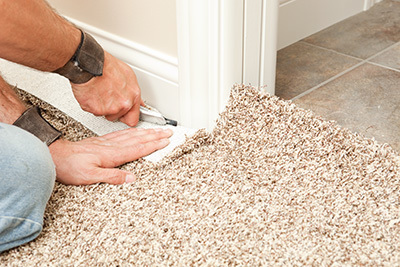 Underlay makes your carpet safer. Old carpets can lose their stretch and ridges can form, leading to potential trip hazards especially for older people or those with mobility aids. PU foam underlays are a relatively newcomer but now is the fastest growing underlay sold today in the middle range of the market. They are made from recycled foam off cuts. The foam provides excellent comfort and performance levels with variable thicknesses from 7mm to 12mm. The best tog ratings are achieved by the high density products to prevent heat loss and consequently reduce energy costs, so although a little more expensive, they are well worth considering. Rubber underlays are regarded as a more traditional style of underlay than the foam underlays, having a wider spread of quality and prices than the foams. These are split between three main types, namely waffle rubber, sponge rubber and dense rubber. The waffle and sponge rubber underlays are often graded by their roll weight per 15 square metres, typically as 60lb, 80lb, 100lb and so on, up to around 130lb, the greater the weight, the more durable and hardwearing the product is, giving longer life to your carpet. Crumb underlays are flat and dense which are good for heavy footfall areas. They offer maximum protection but a little less comfort(very good over stair nosings). Graded by their thickness and density rather than their thickness. Regarded by many as an old-fashioned product, this style of product is making a comeback with the environmentally aware section of the buying public. Made from woollen and/or synthetic waste material, which might otherwise end up in landfill sites. There are also number of underlays made for specific purposes such as use with underfloor central heating. Tredaire Heatflow is a high quality example, whilst Endurance underlay is a general purpose, lower priced alternative which can be used effectively. There are also underlays made specifically for laminate and wood flooring, so do not use carpet underlay for this purpose, it could be a very costly mistake.